I know i've been slacking with the blog recently, we've had a very busy August with birthdays particulaly our littlest Elf turning the big 1! Our biggest Elf also started school in mid august so it's been a big adjustment for us all since we miss her loads now she is gone for a huge chunk of the day, argh babies grow it far too fast don't you think? 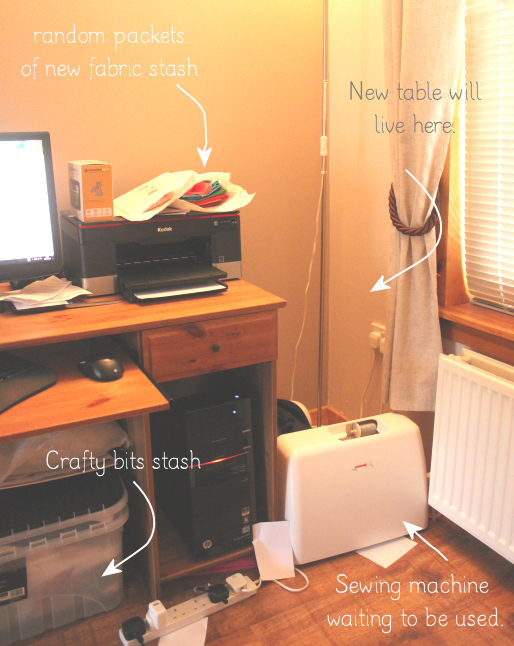 So on to a more sewing related topic, recently I've been inspired by looking at other peoples creative spaces. Today I thought I would give you all a little glimpse of where the magic happens in the Elf household by showing off my sewing area which had a make over this month. When I say sewing area it was non existent before, I was using my machine on our kids table and chair like some sort of oversized Christmas elf (hey elf by name, elf by nature!). Our house is tiny so it had to be a small desk fit for purpose, when I spotted the laiva from Ikea I knew it would be perfect and at only £10 why not, and off on a road trip to Edinburgh we went. And here is the after I cleaned it all up and build the desk. It's sort of a little extension to my computer desk so I can get sew and design my patterns in the same place, plus it's right next to the window so I get a lots of air and natural sunlight on nice days. It's nothing fancy like the cutesy sewing areas I see on pinterest and sorts but it's fit for purpose. I really needed to add a photo of it looking so neat as it is more of a bomb site again now I've started using it. And look baby Elf can no longer reach to stick his fingers in the firing line of needles or grab pins and try to eat them like sweeties (he is not amused). 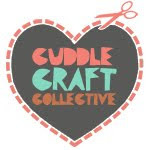 Ok so bloggy update break is over, I'm off to work on a super cute new range of patterns or the shop. Ohh how mysterious you'll have to keep tuned for updates on the new range.